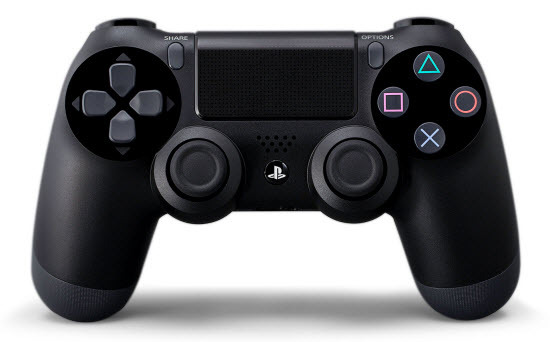 The PS4 is Sony’s new video game console as the successor to PS3, it was launched on November 15, 2013, With it, you can not only play latest HDTV's big screen, but also enjoy the 4K resolution, HDMI (1080p and 4K), optical S/PDIF, Blu-ray drive, streaming function. Can I Play Movies on PS4? Wanna play videos and movies on PS4, but have no idea how to get started. No worries, we will help you figure it out in this article. As we all know, not all video formats can be supported by PS4. To play unsupported movies on PS4, you need to convert video files to PS4 first. MP4 is accepted well by PS4, so you can convert your video files to MP4, and then transfer the converted videos to the Play Station 4. Any Video Converter Ultimate can be the first choice to do the PS4 video conversion, which converts almost all popular SD and HD videos including AVI, MPEG, WMV, MKV, MOV, M2TS, VOB to MP4, H.264/MPEG-4 AVC video for PS4. 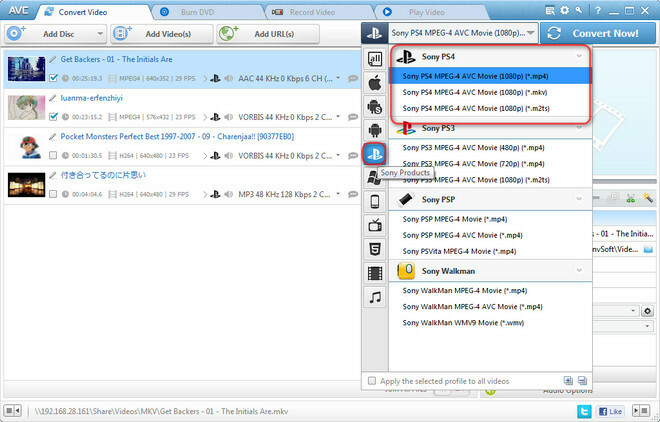 If you want to rip DVD movies for playback on the PS4, it also offers you nice solutions. Step 1: Add the videos you need convert to PS4. Step 2: Choose the output format for your PS4. Click “Output Profile” and move to Sony Products icon. Select "Sony PS4 MPEG-4 AVC Movie (1080P)(*.mp4)" or "Sony PS4 MPEG-4 AVC Movie (1080P)(*.mkv)" or "Sony PS4 MPEG-4 AVC Movie (1080P)(*.m2ts)" as output format. Tips: this PS4 HD Video Converter also enables you to make some editing to get the effect you want, such as trim, crop, add watermark, replace audio, adjust video brightness etc. Just click “Convert Now” button to start converting videos to PS4. Once the conversion finished, you can import the converted videos to your PS4. Simply free download this PS4 Video Converter to have a try!